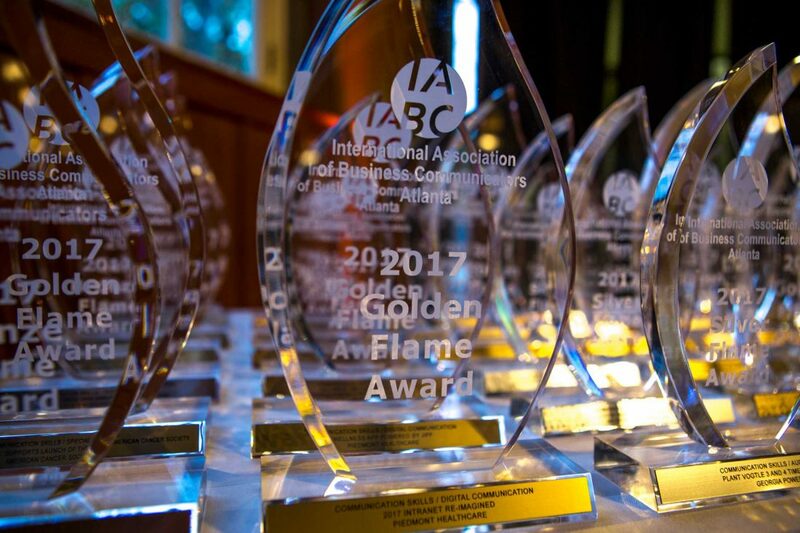 IABC Atlanta | IABC Atlanta Golden Flame Award Winners Share How to Win! 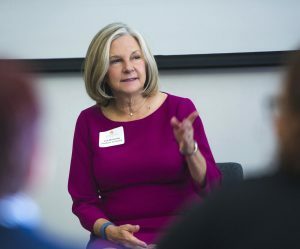 IABC Atlanta Golden Flame Award Winners Share How to Win! In Case You Missed It… An Overview of our February Networking Luncheon! An award-winning communications project entry describes a complete strategy with defined objectives that were measured early and often and then achieved or exceeded. While simple to define, naturally, the execution is the challenge. And that’s where IABC Atlanta’s February luncheon attendees received not just a few tips, but a wealth of great information. Eric Berrios, VP of Professional Recognition for IABC Atlanta and Director of Strategic Planning at Realm, facilitated a panel of 2017 IABC Atlanta Golden Flames Awards winners as they briefed us on their companies’ award-winning projects and shared entry creation tips. Andrea Dempsey from Newell Brands presented the strategy for her team’s social media management of the 2017 Bassmaster Classic, a three-day fishing tournament. The team’s success was rooted in extensive planning (and contingency planning). They prepared video, image, and written content based on anticipated scenarios. During the event, the content was deployed and recycled according to real-time changes. Newell Brands also found high value in leveraging platform tools such as geo-targeted Facebook and Twitter ads to personalize communication with interested audiences. Lee Birdsong presented Southern Company’s creation of an updated corporate brand. Their objective was to develop a contemporary brand that is tied closely to company strategy and recognizes the company’s recent and future growth along with its energy sector leadership. 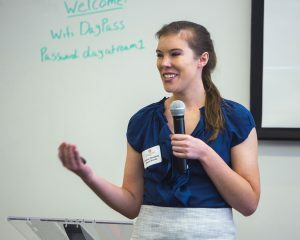 The team interviewed and surveyed stakeholders, evaluated and questioned the answers, summarized what they had learned, and shared it with the design team. Birdsong emphasized revisiting project and company objectives as each project decision is encountered so that the project remains on target. After many iterations, the Southern Company team landed on a brand and logo that, even to a layperson, clearly met the objectives defined at the beginning of the project. A comprehensive internal and external rollout solidified the project. Their primary focus was on internal audiences, though. “When you get employees to be ambassadors of your brand, they will be ambassadors to your community,” said Birdsong. 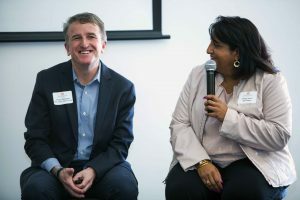 Swati Joshi of GE Power and Thom Gonyeau of Mountain View Group partnered to create the Golden Flames Best in Show award winner, an anthem video for GE’s Power Services. “Our goal was to capture the hearts and minds of our customers and employees,” said Joshi. That meant creating a video that appealed to and reflected the company’s global presence. So the team traveled across the world for footage and included all types of stakeholders in the video – employees, customers, and end users of their services. Joshi and Gonyeau emphasized the value of high production quality and creating an emotional connection with the audience. They agreed with the rest of the panel that a clear strategy, message, and measurable objectives are key to success. For more about the luncheon panelists and 2017 IABC Atlanta Golden Flame winners, visit the IABC event page. Photos by Leland Holder of Leland on Location. Author’s Note: Suzanne O’Brien works with businesses and organizations to design and execute informational, inspirational and educational initiatives that promote stakeholder experience and satisfaction. Her work is grounded in the conviction that collaborative and creative design yields effective and sustainable solutions.